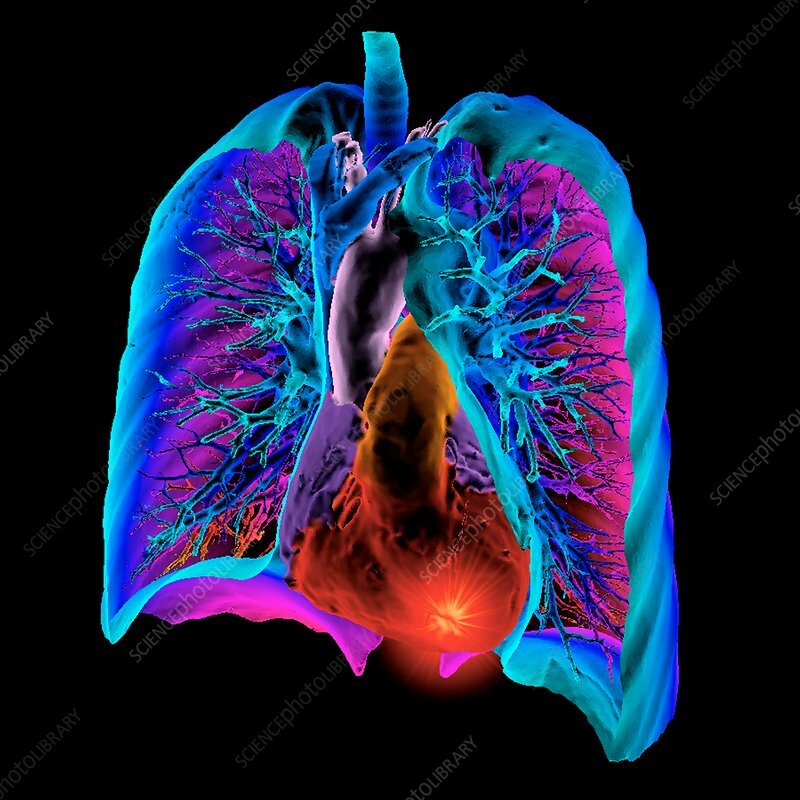 Heart and lungs, 3D coloured computed tomography (CT) scan. The heart pumps blood around the body, with the blood being oxygenated in the lungs. Carbon dioxide, the main waste product of respiration, is removed from the blood in the lungs.